The Star Nations & Dr. Richard BoylanDr. Richard Boylan is a hypnotherapist and behavior scientist who claims to represent the Star Nations — a group of over one million alien civilizations who have formed a kind of federation which watches over the inhabited worlds, promoting their evolution while preventing harm from exploitive alien civilizations. The Star Nations have allegedly been protecting humans for a long time. According to his web site, www.drboylan.com, no aliens are here to invade, kill, intimidate, experiment on us or to take over the planet. Dr. Boylan knows this because a group of mental health workers calling themselves The Academy of Clinical Close Encounter Therapists, Inc., — of which he is a director — claims to have never found a credible case of aliens abusing humans. “I have had the opportunity to talk to hundreds of such professionals involved in this kind of highly-specialized work with those having Star Visitor encounters. In so doing, I do not find credible reports of low-life aliens from these professionals, nor from the experiencers they have worked with. On the contrary, the reports coming from these professionals describe intelligent, wise, compassionate, interested Star Visitors, who want what is best for our world and theirs. This was of great interest to me, especially after reviewing the, sadly, common accounts of mutilated women and traumatized children. Did these mental health workers never see this type of abductee? Or if they did, was there some “good” way to interpret this? Oy veh! Your seductive invitation is countermanded by the dark twist which you have done to your energy signature. You’d think that you Cabal “assets” would by now have learned that one of the ways you give yourselves away is by your readiness to turn dialog into an argument. Not that your negative energy signature doesn’t give you away, too. Bye. I’m not teaching you Cabalistas “sources and methods”. Hmmm… We aren’t sure whether or not we qualify as “cabalists” but we found Dr. Boylan’s unwillingness to respond neither helpful nor constructive. In fact, it was paranoid and weird. Enough said. The Pleiadians and Billy Meier“Billy” Eduard Albert Meier was born on February 3, 1937, in Bulach/Zurich, Switzerland and has had contact with an alien species called Pleiadians (sometimes called Plejarens) since he was 5 years old. Billy Meier [right: circa 1980] claims that the “Pleiadians” appear human like, even beautiful, and they have a lifespan of about 1,000 years. The come from a planet called Erra which is 80 light years on the other side of what we call the Pleiades star system. Billy was not taken seriously until he released some remarkably clear and detailed photographs of the alien’s “beam ship” [see below] which started an international fascination this particular alien race. Billy claims to have interacted with a number of different Pleiadians on as many as 600 different occasions. The first contact he had was with an older Pleiadian named Sfath in 1942. Asket took over from 1953-1964. There was an 11 year hiatus during which Billy joined the French Foreign legion and traveled extensively. In 1975 Billy was visited by Semjase, the granddaughter of Sfath, and it is Billy’s interactions with this beautiful female that are best known to fans of Meiers. From 1975 to 1995 Billy was taught about being in harmony with the universe and warned about the dangers of such things as nuclear bombs and environmental damage to our planet. He was also given information about the future which he published in his “Contact Reports” — many of which have been translated from German to English. Most of the predictions that Billy reported were confirmed by associates before they happened, but unfortunately were not released to the public until after the events took place. One of the most famous future predictions which was revealed beforeit happens is called the Henoch Prophecies which describe such things as future wars, disease and disaster for humanity. What many people do not know is that Billy’s Pleiadian contact, Ptaah, told him that he was the only contactee with which the entire Federation of aliens had communicated. So how does this concur with the many other alien contacts that have been reported? It seems we don’t have to worry about that. 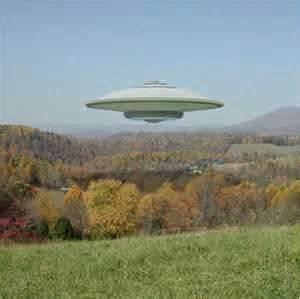 Billy Meier’s wife has since come forward to explain that the whole encounter with Pleaidians was a hoax. She revealed how he grew bonsai trees and made detailed models to fake his famous photographs. In her most damaging revelation, she shows how one of the alien “beam ships” that he filmed was, in fact, their garbage can lid! The Peaceful Nordics and George Adamski George Adamski was born in Poland on April 17, 1891 and his parents moved to the United States in 1893. He grew up in Dunkirk, New York. After spending 6 years in military service and marrying his wife, Mary, Adamski moved to the Los Angeles area and took a job as a concrete contractor. Considered very intelligent, Adamski founded the Royal Order of Tibet in 1930 and, at the age of 40 he began preaching about universal law and the philosophy of love. Six years later he wrote about these ideas in a book, Wisdom of the Masters of the Far East. Assuming a preacher’s role, Adamski gave sermons and established a monestary in Long Beach, California, where he was legally able to manufacture “sacramental” wine during the prohibition era. Stories abound about how this wine was sold to the thirsty public, making Adamski a handsome profit. When prohibition ended, Adamski and his wife set up a small cafe in Palomar Gardens, California, and it was here that he set up a telescope and claims to have seen a large cigar shaped UFO. In 1947 Adamski claimed to have seen an entire fleet of 184 “saucers” flying through the skies over Palomar. By 1949 he wrote his next book, Pioneers of Space, a science fiction about meeting aliens from Venus, Mars and the Moon. The public were just getting interested in UFOs and aliens in the late 1940s and, along with the fears of the new cold war and nuclear bombs, Adamski found that his ability to preach about universal truth was very much in vogue. On Novemeber 20th, 1952, Adamski along with six other people, went by car to the desert. Somewhere between Parker, Arizona and Desert Center, California, Adamski claims to have had contact with an alien. The group parked their car in a very remote area while Adamski walked out alone into the desert. The group who originally accompanied him to the site did not witness the encounter and there were differing accounts of what little they did see that night. Some witnesses thought they saw a UFO while others saw nothing. Adamski says he met Orthon, who was an astronaut on the UFO. The two communicated mainly by telepathy and by drawing on the ground. Orthon was from planet Venus, he was dressed in brown overalls, was 5’6″ and he wore his hair long, down to his shoulders. Since he looked to Adamski to be “Nordic”, this is the name by which the aliens were known. George, had more contacts with the aliens, February 18, 1953; April 12, 1953; April 24, 1955, during this time span Adamski’s wife died in 1954. He wrote many books about his alien encounters and became a successful lecturer and celebrity. His claim to fame was actually a photograph that he claims to have taken from his telescope of a UFO, [below] which some now claim was fabricated from a street light. Adamski, claimed that he was taken into outer space as a guest of the aliens and visited Venus, Saturn and the Moon. According to him, all of the planets of the solar system are inhabited. Adamski also preached what the aliens told him, that the universe was a big “school”. If you got things right on Earth, when you died, you would be born onto another planet, as in graduation. Life in the universe was about learning, wisdom and growth. Jesus Christ was an alien master who had incarnated on Earth in order to try to help humanity. His message was a mixture of Christianity and Eastern religions like Buddhism. The Nordic aliens told Adamski that the Earth was a “problem planet”. There had been many civilizations before our present one which culminated in horrific wars, essentially causing humans to “start over” again and again. The aliens were sympathetic and trying to improve our spirituality and philosophy so we could break out of this cycle of destruction. These stories were very similar to what Adamski had preached years before at The Royal Order of Tobet and what he had written in his science fiction books. But much of it was new to the public. Adamski’s “peaceful Nordic” story eventually died out when space probes visited Venus — a “inhabited” planet he allegedly visited — and discovered a desolate surface with an atmosphere of sulfuric acid and a temperature of just shy of 500C! “Little Men” with a Warning to Zimbabwe SchoolchildrenOn Friday, September 16, 1994, at approximately 10:15 am, teachers and school officials at the Ariel School in Ruwa, Zimbabwe were amazed when the school’s students, aged approximately 5 to 12 years old, reported that a flying object had landed on the school grounds. According to some sources, UFOs had been seen in the skies over Zimbabwe for two days before the incident occurred. The sighting happened in the schoolyard where 62 children were playing while their teachers were inside the school building at a meeting. The only adult present was the mother of one of the students who was manning a snackbar where candy and soda was sold. Ruwa is about 20 kilometers from Harare, the capitol of Zimbabwe. Ariel School is a private elementary school with students of mixed ethnic heritage located about 20 kilometers from Zombabwe’s capital, Harare. The children said that they had first seen three silver balls in the sky which appeared and disappeared with a flash of light, apparently moving closer to the schoolyard each time. Some reported hearing a high-pitched sound, like a whisle. As they watched, puzzled by what they were seeing, one of the objects finally landed in a brushy area, about 100 meters adjacent to the schoolyard. This area was off-limits to the students for safety reasons because it was overgrown with thorn bushes, and some brown-gray cut grass with bamboo shoots sticking up out of the ground. The object hovered momentarily over the ground. Suddenly, the children observed a small human-like being standing on top of the craft. The humanoid figure was about 3 foot (one meter) tall, was dressed in a shiny tight-fitting black outfit. He had a long slender neck, long black hair coming down below his shoulders, large eyes, and a pale face. The being came floating towards them across the rough ground, became aware of the children and then disappeared. Then a man, who looked just like the first little man, appeared behind the silver craft. He stared at the children for some time, then disappeared again. The silver ball then took off and vanished. The smaller children were very frightened and cried out for help. They believed that the little man was a demon who would eat them. Black African children have heard legends of tokoloshis, demons who eat children. The children ran to the woman running the snackbar and cried, “Help me, help me,” but she was reluctant to leave the food and cash unattended and so didn’t go. The older children were also yelling and screaming in the schoolyard but the teachers inside, at the meeting, thought they were just playing a game and ignored them. The late Cynthia Hind, known as Africa’s foremost UFO investigator, investigated the case the next day. When she was first contacted, she asked the headmaster of the school, Colin Mackie, to have the children draw pictures of what they had seen. When she arrived at the school, he had about 35 drawings for her [right]. The drawings were of very similar — but not identical — objects. “I swear by every hair on my head and the whole Bible that I am telling the truth.” Dr. John Mack, an abduction psychiatrist and a professor at Harvard Medical School, was visiting Zimbabwe at the time of the event, and along with his associate, Dominique Callimanopulos, went to Ruwa and spent two days interviewing and counseling twelve of the children and their parents. Mack’s specialty was treating adults who were abused as children. He treated them by releasing their repressed memories. He also used his techniques to reveal the repressed memories of alien abductees. He had collected hundreds of cases where medical exams and surgical procedures were performed on human subjects, who were later made to forget these events. His interviewing techniques were able to elicit more detailed memories from the schoolchildren. The older students said that they felt the “little man” communicated with them telepathically, through his eyes, telling them that we humans are destroying our planet and polluting the environment in ways that will have dire consequences. Some of the children reported having a “vision” of an ecological disaster, making them feel “sad inside”. There was no record of any abduction or harm to any child, other than being severely frightened by the event. The communication appeared to be a warning or an attempt to enlighten us about our current behavior as a species, and its negative repercussions.